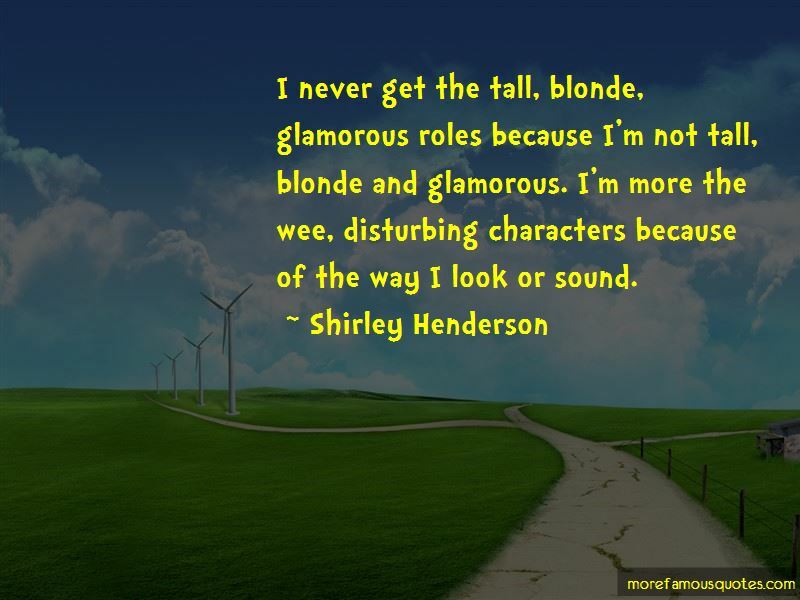 Enjoy the top 18 famous quotes, sayings and quotations by Shirley Henderson. I don't have children, but we all want to protect whatever we love in life. American scripts are usually non-stop conversation. People talking over each other. I like that. I'm not going to get an Oscar at 30 - that's done. So I'll think of something else. I never get the tall, blonde, glamorous roles because I'm not tall, blonde and glamorous. I'm more the wee, disturbing characters because of the way I look or sound. It's odd, because I used to see pictures, on telly or wherever, of what I now know to be Shaftesbury Avenue and I used to wonder what that amazing street with all the lights was. Well, now I know. I think when you get a wee taste of something, it maybe isn't what you thought it was. 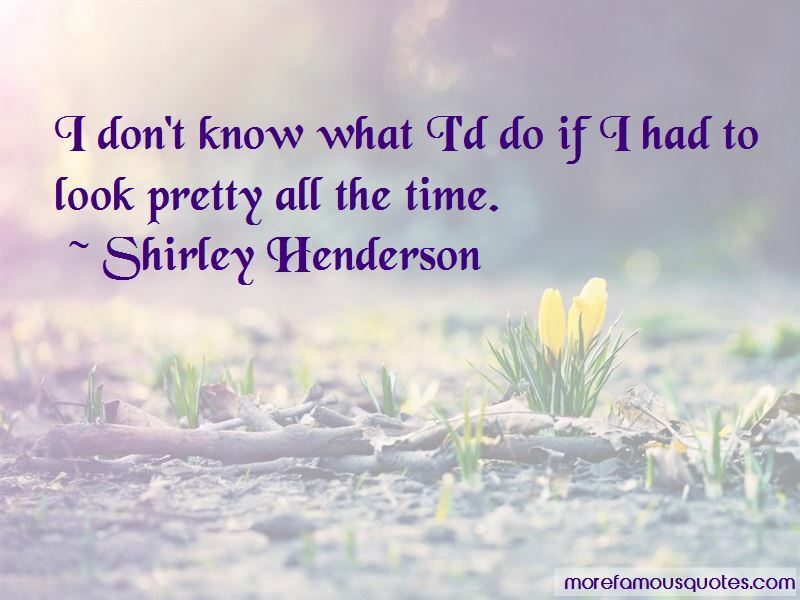 Want to see more pictures of Shirley Henderson quotes? 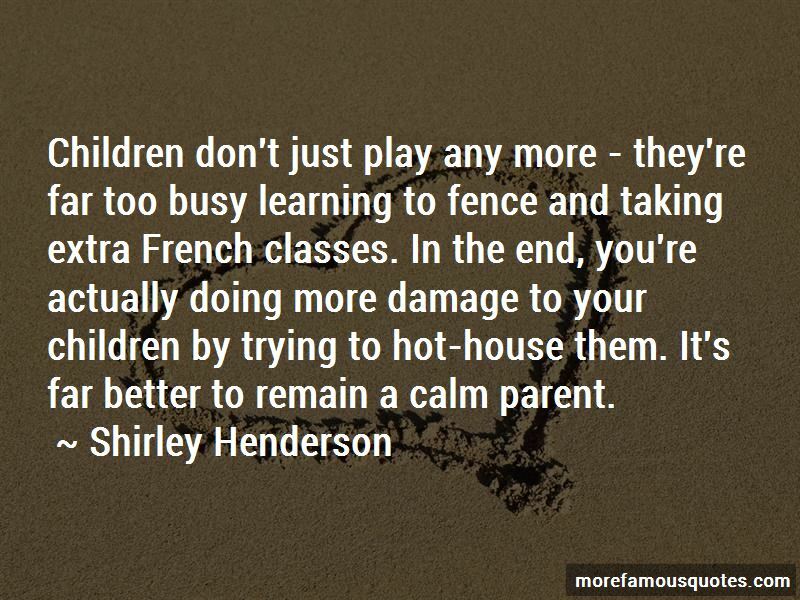 Click on image of Shirley Henderson quotes to view full size.